Protests have been organized on Monday in front of the Russian Embassy in Ankara and Russia's Consulate General in Istanbul. The group in Ankara communicated on social media platforms before gathering in front of the embassy to protest Russia's Syria policy and the attacks on civilians in Aleppo. They chanted slogans against Russia, Iran and China for deliberately supporting the Assad regime. Protestors claimed that Russia was in cooperation with the Assad regime, slaughtering civilians in Aleppo and using chemical weapons. They later moved away from the embassy entrance and dispersed after praying for the Syrian people who lost their lives in Aleppo. 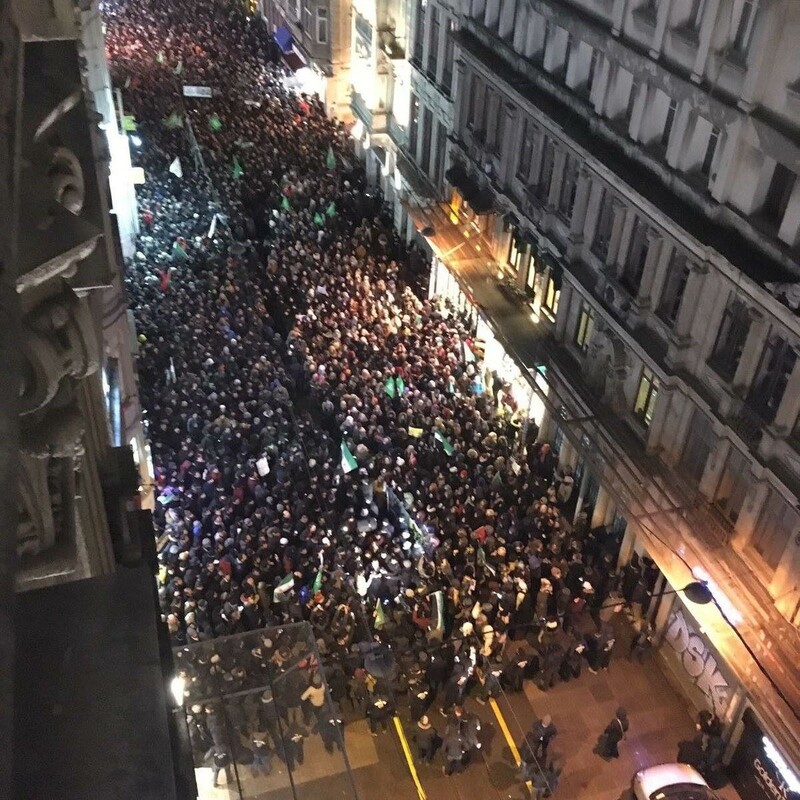 Meanwhile, members of the Özgür-Der foundation gathered in front of Russia's Consulate General in Istanbul on Istiklal Avenue. The protestors also chanted slogans against the Assad regime. 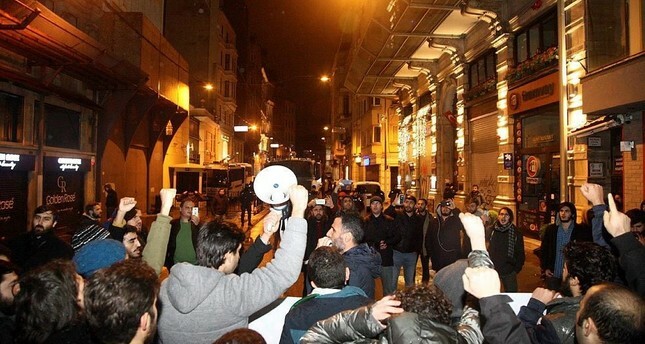 Both protests were carried out peacefully under extensive security measures of the Turkish police. Over one hundred civilians were executed by Assad regime forces with Russian jets carrying out air strikes on Monday as Syrian state TV said the regime forces and their allies had gained control of 99 percent of eastern Aleppo. However the death toll is expected to swiftly increase as a result of the regime's killing spree. The recent escalation comes amid attempts by the Russia-backed Assad regime to reestablish control over parts of Aleppo captured four years ago by armed opposition groups. Syria has been locked in a devastating civil war since early 2011, when the Assad regime cracked down on pro-democracy protests - which had erupted as part of the "Arab Spring" uprisings - with unexpected ferocity.